A new study by researchers at Keio University in Tokyo, Japan, has found that mice fed Vitamin E supplement in a quantity similar to that consumed by many people taking Vitamin E supplements lost bone mass, while those bred to be deficient in Vitamin E had stronger than normal bones. The researchers said that if their findings were to be replicated in humans, this could mean that taking Vitamin E supplements could lead to increased risk of osteoporosis and bone fractures. Osteoporosis is a disease commonly faced by seniors, especially women. It causes the loss of bone density over time. As a result, the patient may become more prone to falls, bone fractures, and mobility loss. As reported by the BBC, a few prior studies involving rats, including one published in 2010, had suggested that Vitamin E could be beneficial to the bones. However, the new study found that the opposite may be true. The researchers, led by Dr. Shu Takeda of Keio University in Tokyo, explain that bone health is maintained by a balance between osteoblasts (bone-formation cells) and osteoclasts (“bone-resorption” cells that break down bones and release the minerals, resulting in a transfer of calcium from bone fluid to the blood.) The researchers found that Vitamin E triggered the production of bone-degrading osteoclast cells, which resulted in the bone-loss that the mice fed Vitamin E supplement experienced. The new study, “Vitamin E decreases bone mass by stimulating osteoclast fusion,” was published in the March 4, 2012 issue of the journal Nature Medicine. As part of their study, the researchers examined the bone density of a strain of mice that had been genetically modified to be deficient in Vitamin E.
They then fed these and other wild (normal) mice a diet that had levels of Vitamin E significantly higher than those found in a mouse’s natural diet. The increased doses of Vitamin E fed to the mice were similar to the doses found in Vitamin E supplements consumed by some humans. The scientists found that the mice deficient in Vitamin E had a higher than normal bone density. After eight weeks on the diet supplemented with Vitamin E in doses similar to those found in Vitamin E supplements consumed by some humans, the wild (normal) mice developed bone loss similar to that in osteoporosis. The Vitamin E supplement also caused a loss of bone mass in the mice that had initially developed abnormally high bone density after being bred to be deficient in Vitamin E.
The scientists explained that the mice initially bred to be deficient in Vitamin E had “high bone mass as a result of a decrease in bone resorption,” that is, a decrease in the action of osteoclast cells which cause the break-down of bones and release the minerals, resulting in a transfer of calcium from bone fluid to the blood. They explained further that the Vitamin E supplement in both sets of mice “stimulated osteoclast fusion” — the formation of osteoclast cells — which cause “bone-resorption” (the break down of bones and release of calcium and minerals from bone fluid into the bloodstream). “These results show that serum vitamin E is a determinant of bone mass through its regulation of osteoclast fusion,” the scientists concluded. The authors called for further research into how enhanced levels of Vitamin E affect human health. “It is possible that with the volume [of vitamin E] contained in health supplements, bones may become fragile,” Dr. Takeda told the Mainichi Shimbun newspaper. The authors and other experts, however, caution that it is too early to advise people against taking Vitamin E supplements based on this mouse study alone. 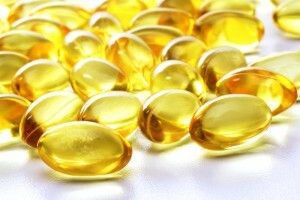 They stress that further study of the effect of Vitamin E supplement in humans is needed. Vitamin E is found naturally in foods such as wheat germ oil, sunflower seeds, almonds and hazelnuts, and green vegetables such as spinach and broccoli. As an antioxidant, Vitamin E is widely believed to enhance health and immunity, and perhaps slow certain problems related to aging. Dr Helen Macdonald, a professor at Aberdeen University in the UK who researches the influence of nutrition on bone health and was not involved with the new Japanese study, told the BBC that there is no reason for people to change their diets to avoid the relatively small amounts of Vitamin E contained in the foods people eat. “However,” she explained, “vitamin E supplements involve doses far higher than those in a normal diet.” “There is increasing evidence that taking supplements doesn’t do any good, and if anything, may be doing harm,” she said. More information on vitamin E is provided by the U.S. National Institutes of Health’s Office of Dietary Supplements.